In the 1960s, strangers to their new city and from the different worlds of New York and Athens, David and Nikos embarked on a life together, a partnership that would endure for forty years. At a moment of “absolute respect for differences,” London offered a freedom in love unattainable in their previous homes. Friendships with Stephen and Natasha Spender, Francis Bacon, Sonia Orwell, W. H. Auden, Christopher Isherwood, and David Hockney, and meetings with such Bloomsbury luminaries as E. M. Forster and Duncan Grant, and a developing friendship with Philip Roth living in London with Claire Bloom, opened up worlds within worlds; connections appeared to crisscross, invisibly, through the air, interconnecting everyone. 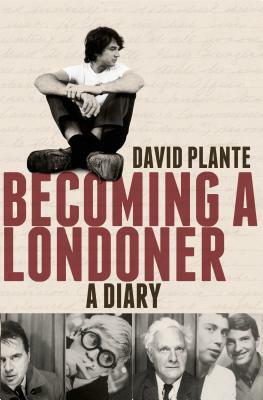 David Plante has kept a diary of his life for more than half a century. Both a deeply personal memoir and a fascinating and significant work of cultural history, this first volume spans his first twenty years in London, beginning in the mid-sixties, and pieces together fragments of diaries, notes, sketches, and drawings to reveal a beautiful, intimate portrait of a relationship and a luminous evocation of a world of writers, poets, artists, and thinkers.